Born in New York City and raised in Brooklyn, Halprin spent three years on a kibbutz in the British Mandate of Palestine (now Israel) before attending Cornell University and then the University of Wisconsin, where he earned an M.S. in horticulture. He received his B.L.A. from Harvard’s Graduate School of Design. 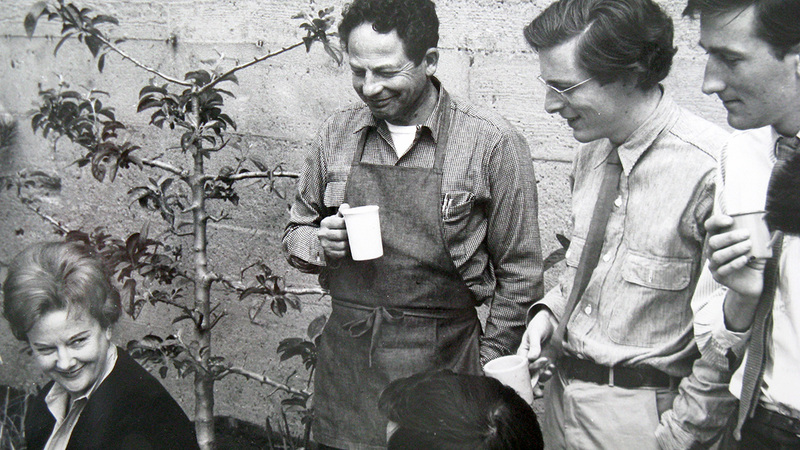 After apprenticing with Thomas Church, during which time Church built the famed Donnell garden in Sonoma, Halprin opened his own office in 1949. Amongst his innovations is the design process known as the RSVP Cycles. 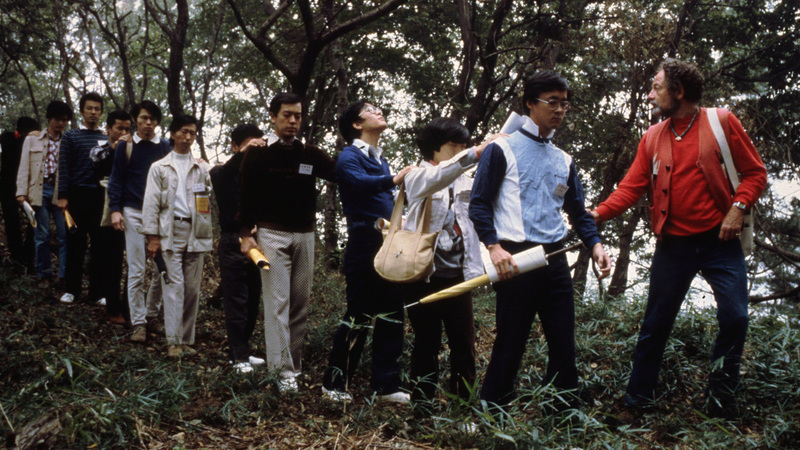 This method is marked by attention to human scale, user experience, and the social impact of design; these strengths were likely fueled by the work of his wife, dancer Anna Schuman Halprin. Simultaneously, he was able to attend to environmental concerns and to incorporate community participation in the design process. 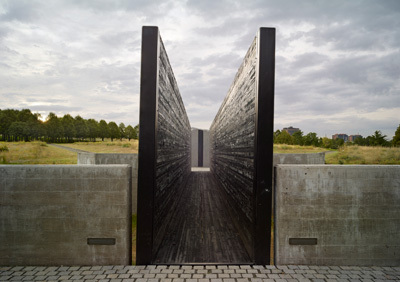 Prolific throughout his life, major projects include the FDR Memorial in Washington, DC; the Sea Ranch community in California; Freeway Park in Seattle; Heritage Park, Fort Worth, and Lovejoy Plaza in Portland, OR. 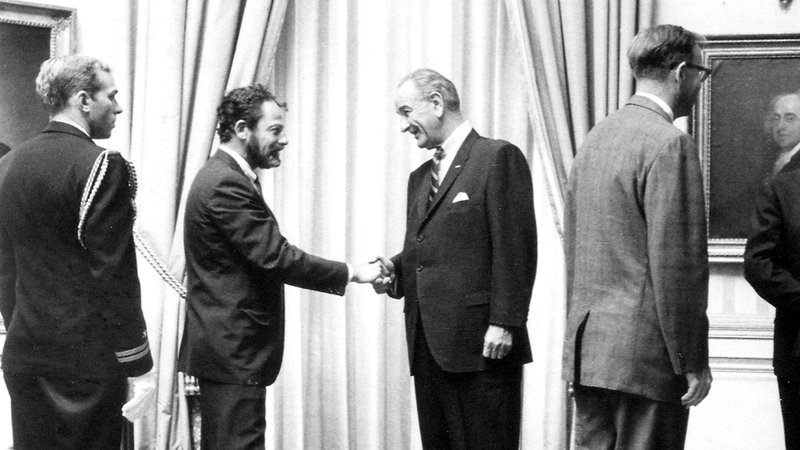 Halprin garnered numerous awards including the Thomas Jefferson Medal in Architecture and the National Medal of Arts given by the President of the United States. 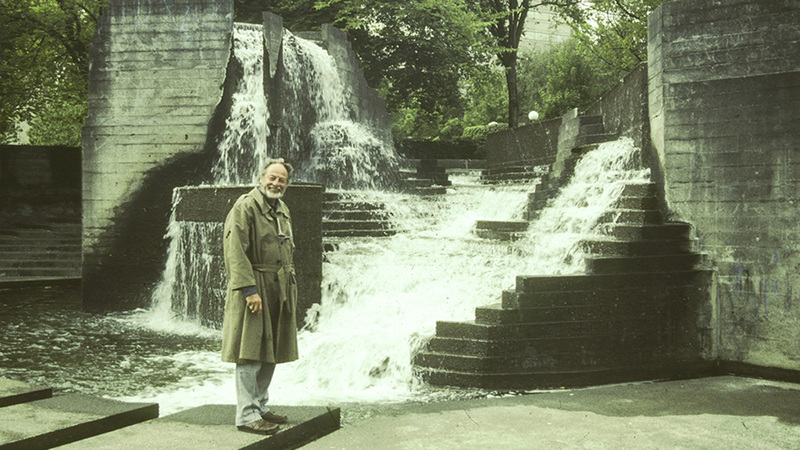 Born on July 1, 1916, Lawrence Halprin was raised in Brooklyn, New York. After graduation from high school, he lived for several years in the British Mandate of Palestine (now Israel) on a kibbutz. In 1935, he began his studies in Plant Sciences at Cornell University where he also played varsity baseball with hopes of playing professionally. After graduation, Halprin pursued advanced studies at the University of Wisconsin receiving a Master of Science in horticulture in 1941. During this time, Halprin married Anna Schuman, a dance student whose work played a significant role in Halprin’s ideas about landscape movement as well as his developing new graphic techniques to represent landscape experience. 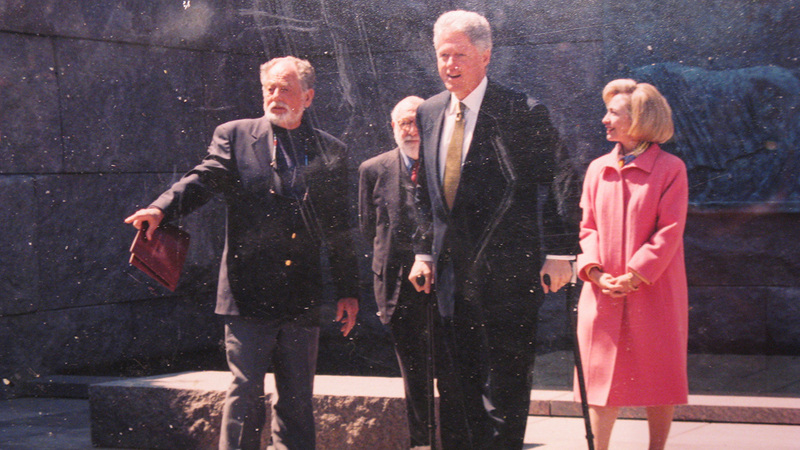 While living in Wisconsin, Halprin has recounted visiting Taliesin East, Frank Lloyd Wright’s home-studio and deciding to study architecture focusing on landscape. He entered the Bachelor of Landscape Architecture program at the Harvard Graduate School of Design in 1942, studying with landscape architect Christopher Tunnard whose book Gardens in the Modern Landscape (1938) Halprin credited with confirming his interest in landscape design. 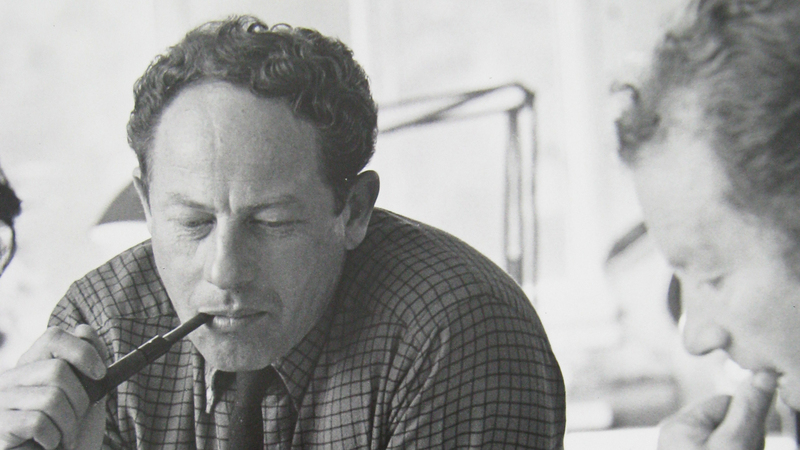 During his studies at Harvard, Halprin was also inspired by professors Walter Gropius and Marcel Breuer, and was “vitally influenced” by the writings of Laszlo Moholy-Nagy, a Hungarian artist and Bauhaus educator who immigrated to the United States in 1937. This particular influence is readily discerned in Halprin’s articles and books about process, space-time, and motion from the early 1960s through the late 1990s. 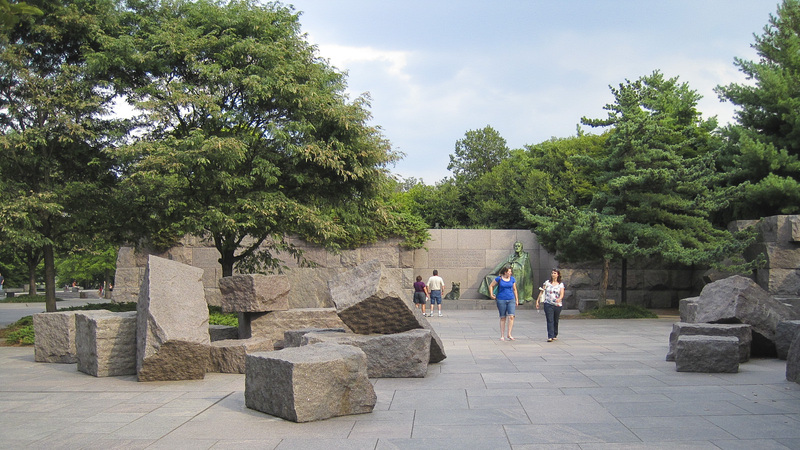 Halprin’s career as a landscape architect was delayed by two years as he, like many of his peers, enlisted in the U.S. Navy during World War II serving in the Pacific theater. In spring 1945, he returned to the States and joined Thomas Church’s firm in San Francisco where he worked for four years. There, he collaborated with architect George Rockrise on the renowned Dewey Donnell garden in Sonoma, California. In 1949, Halprin opened his own firm in San Francisco, soon hiring Jean Walton, Donald Carter, Satoru Nishita, and Richard Vignolo who would remain with him for several decades while the practice grew to a over 60 staff. During the 1950s Halprin’s practice was comprised of typical project types of the post-war period--residential gardens, small housing projects with prominent Bay Area architects, such as William Wurster, and eventually several campus master plans as well as suburban shopping centers. By the early 1960s, he was taking on new types of projects on formerly marginal urban sites and innovating with the very process of design, not only with forms and spaces. 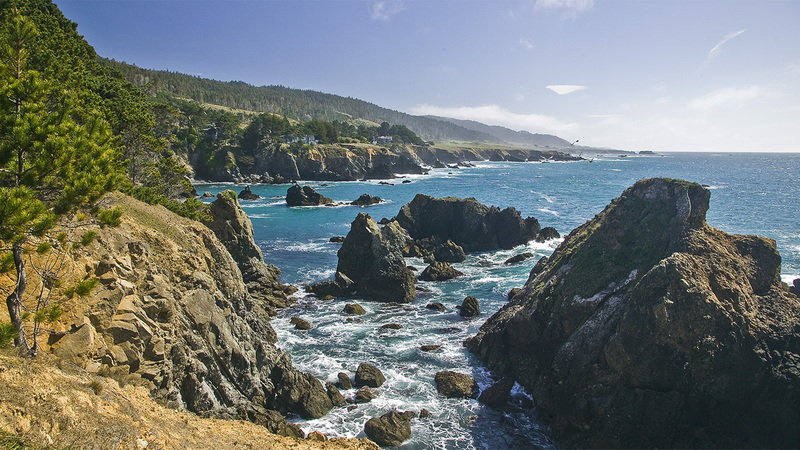 His site plan for Sea Ranch (1962-1967), a 5,000-acre second home community on the Pacific Coast north of San Francisco, can been seen as a response to the coastal landscape structure and environmental phenomena of wind and water erosion. It is also a significant critique of, and alternative to, standard suburban site planning standards. 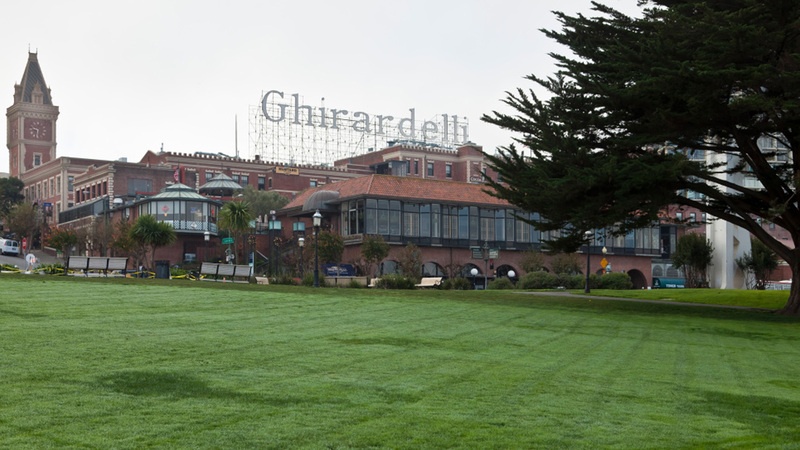 By the mid 1960s, after several trips to Europe, Lawrence Halprin and Associates were known more for their urban than suburban landscape projects, as they designed and built Ghirardelli Square (1962-1968) and Embarcedero Plaza (1962-1972), both in San Francisco; Nicollet Mall, Minneapolis (1962-1967); Park Central Square, Springfield, Missouri (1969-70); four of Portland’s public spaces: Lovejoy Plaza, Pettigrove Park, Auditorium Forecourt, and the Transit Mall (1965-1978); and Freeway Park, Seattle (1970-1974). 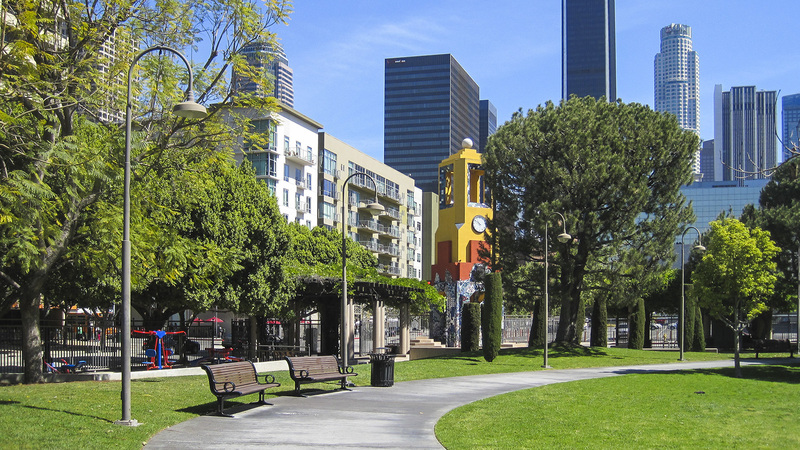 These projects, where he reasserted the landscape architect’s role in regenerating the American city, made vital social and pedestrian spaces out of formerly marginal sites such as historic industrial complexes or the spaces over or under freeways. In doing so, they re-imagined a public realm for American cities that had been cleared by federal urban renewal programs and abandoned for new suburban developments. These projects are memorable for their striking forms and sequences that evoke multiple associations and recall varied references. As Halprin wrote in 1995, “My own way has been to design the outward forms of nature but emphasize the results of the processes of nature…This act of transmuting the experience of the natural landscape into human-made experience is, for me, the essence of the art of landscape design.” The sheer volume of work in the office, coupled with Halprin’s responsibilities on several national commissions, such as White House Council on Natural Beauty and the Advisory Council on Historic Preservation, afforded young designers in his office, such as Charles Moore and Angela Danadjieva, the chance to make major contributions to the design language that has come to characterize Halprin’s urban spaces. 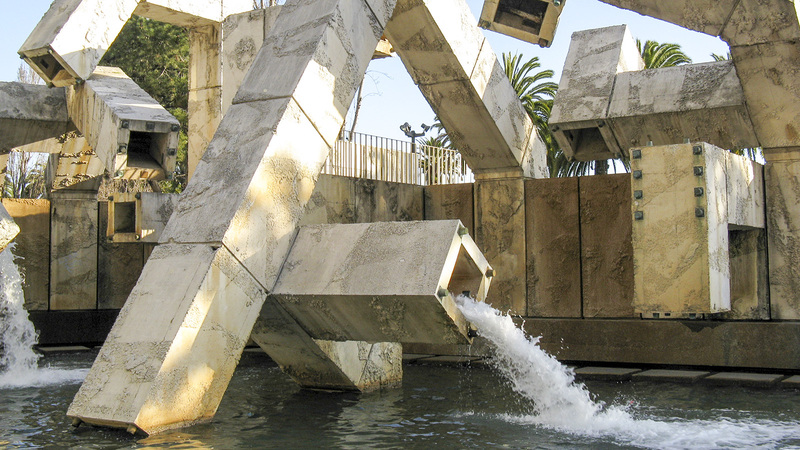 This vocabulary, a fractured urban ground terraced to choreograph the movement of bodies and water, was rendered in poured-in-place concrete that simultaneously evoked monumental geological forms and dynamic ecological processes. By the mid-1970s, Halprin’s office was considerably smaller having weathered several recessions and infamous staff revolts. Still, at an age when many consider retirement, Halprin’s talent and enthusiasm was undiminished. He continued to receive major commissions for another three decades. 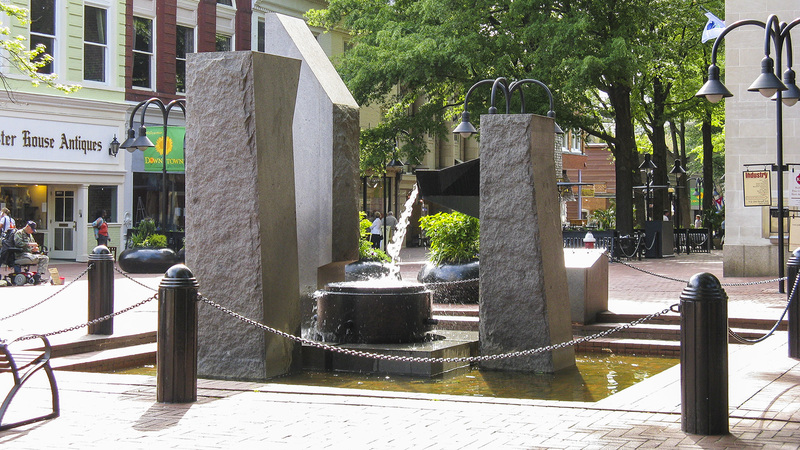 These include the Charlottesville Mall in Virginia; the Franklin Delano Roosevelt Memorial in Washington, DC; Levi Strauss Plaza, San Francisco, California; Bunker Hill Steps and Library Garden, Los Angeles, California; the 52-acre approach to Yosemite falls in Yosemite National Park, California; the Haas Promenade in Jerusalem; and, Lucas Studio campus at The Presidio and Stern Grove, both in San Francisco, California. For a generation that often divided landscape practice into landscape art versus ecological design, Halprin’s works and his writings demonstrate how to link creative artistic impulses with the ecological sciences. He excels at connecting phenomenological experience with environmental awareness and ethics. 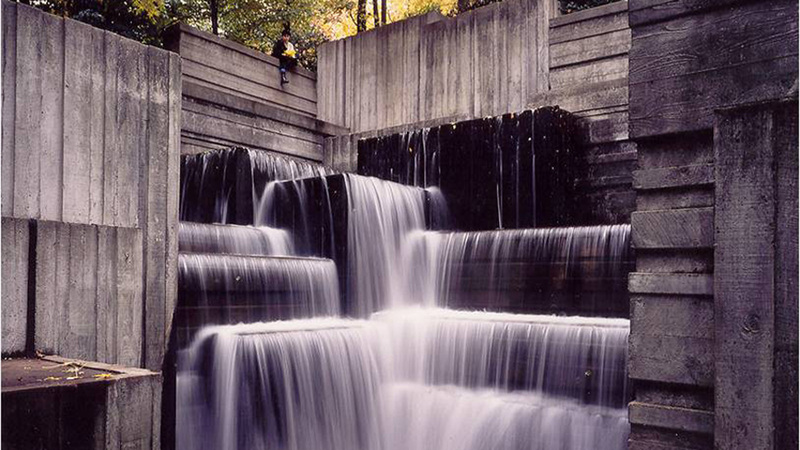 For his ability to create memorable landscape forms, spaces and experiences, Halprin was awarded numerous honors such as the American Insitute of Architects Medal for Allied Professions (1964), Fellow of the American Society of Landscape Architects (ASLA) (1969), ASLA Medal (1978), ASLA Design Medal (2003), American Academy of Arts and Sciences (1978), the University of Virginia Thomas Jefferson Medal in Architecture (1979), and the National Medal of the Arts (2002), the nation’s highest honor for an artist. 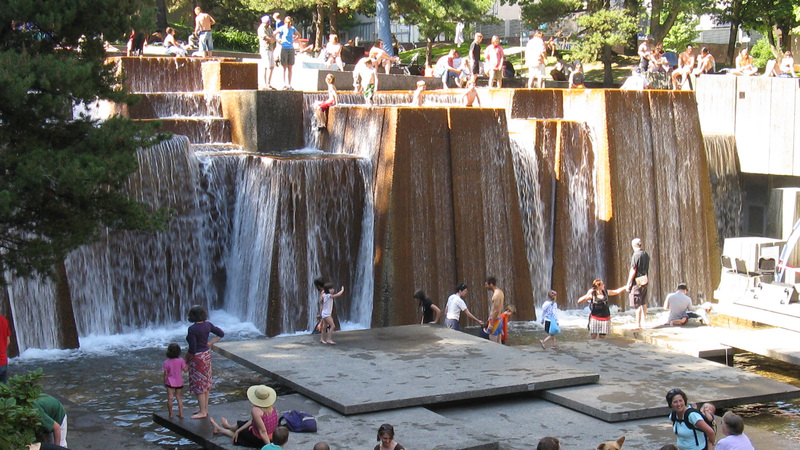 Halprin’s legacy may reside as much in how he re-structured the process of design as in what he built. Recognizing that landscape design requires, in Moholy Nagy’s terms “vision in motion”, Halprin translated notational systems for dance and music scores into a new landscape drawing convention. Called “motation,” this diagram documented and imagined movement through space over time in the landscape. Concerned about the hierarchical relationship between designers and the public and informed by artistic events and happenings conducted by Anna Schuman Halprin and others, he worked with facilitators such as Jim Burns to insert community participation workshops into the design process. This contribution is manifest in his design works and his numerous articles, reports, and books and documented in his extensive office files and drawings housed in the University of Pennsylvania Architectural Archives. Lawrence Halprin died at his home in Kentfield, California, on October 25, 2009. Halprin, Lawrence. 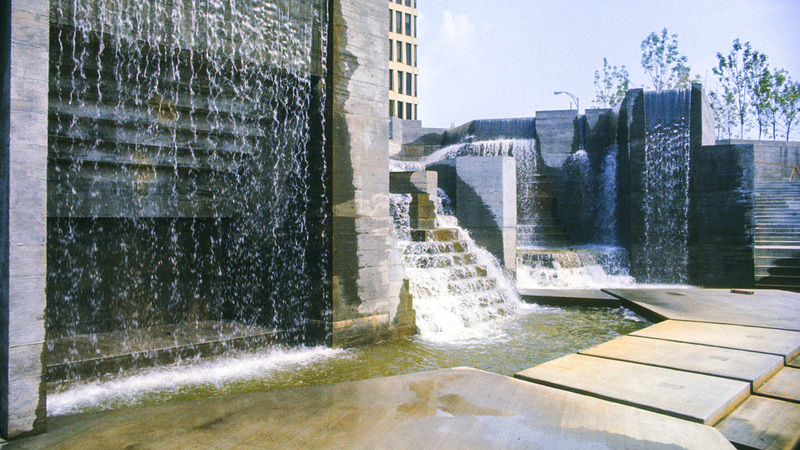 Lawrence Halprin: Changing Places. San Francisco: San Francisco Museum of Art, 1986. -----------------------. RSVP Cycles: Creative Processes in the Human Environment. New York: Braziller, 1969. -----------------------. Process Architecture 4 (1978).